New Uhlsport junior goalkeeper gloves with comfortable flexible finger spines. Integrated SUPPORTFRAME fingersave system for an optimized stabilization of goalkeeper's hands and fingers. Not as rigid as other finger protection options. Great finger protection for junior goalkeepers as they learn the technique and develop hand strength. Arguably best protection system available for kids. 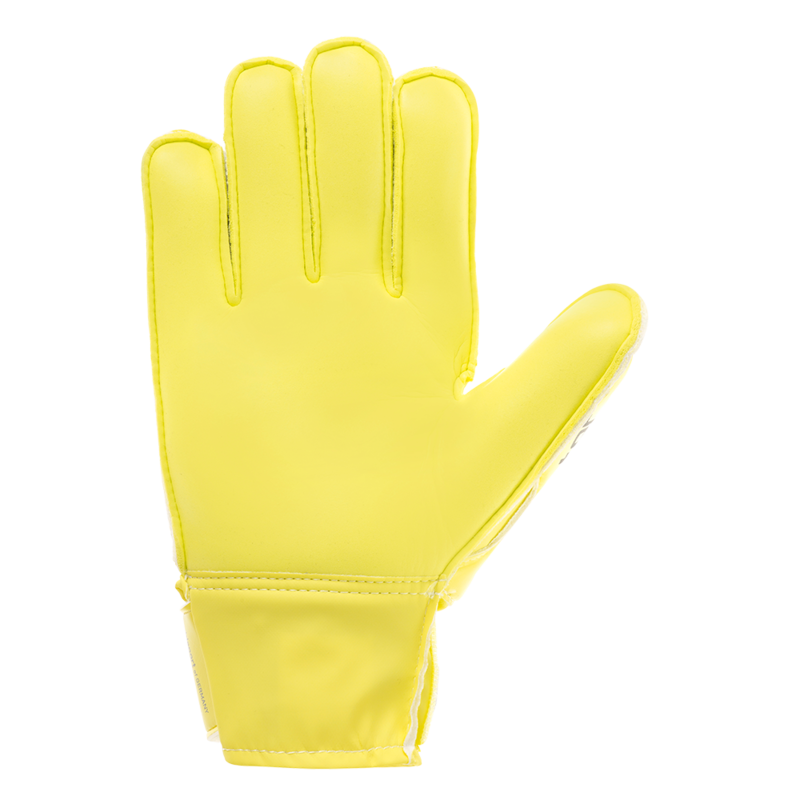 A soft, flexible, sturdy EVA material with soft PU glove body featuring perforations around the fingers for improved breathability. The backhand material is lighter weight, more durable, and less expensive. 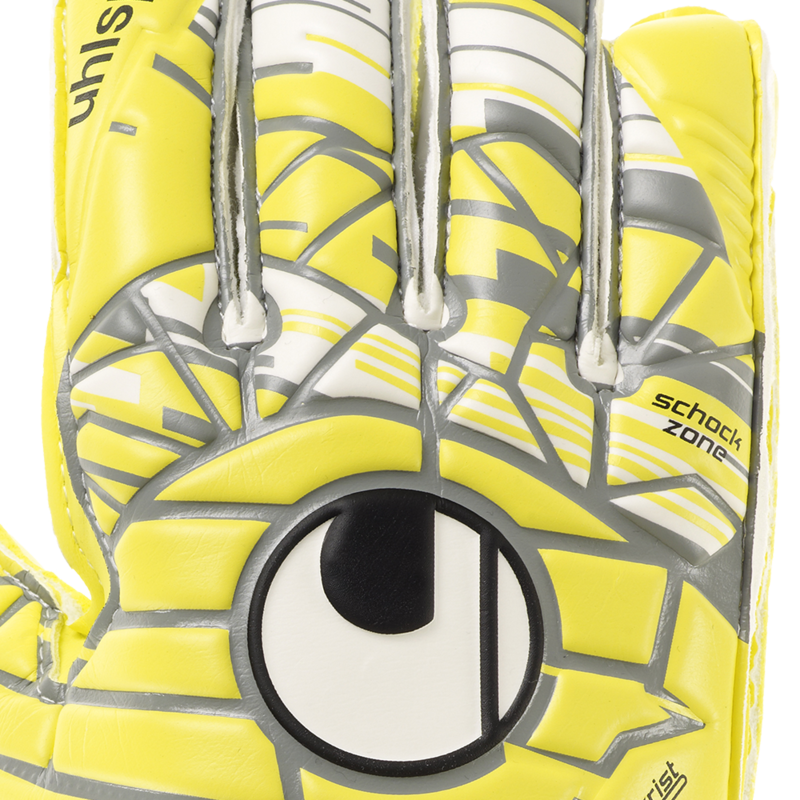 Look like Hugo Lloris and other pros with the new Eliminator fluorescent yellow, grey, and white combination. Classic flat palm cut for maximized catching area for the youth goalkeeper. Also helps junior goalies slip the Eliminator Soft SF with ease. V-Notch opening to help youth goalie get the gloves on and off. Classical EVA flap with velcro-closure. Young goalkeepers dont have the patience or strength to pull on tight elastic closures at times. 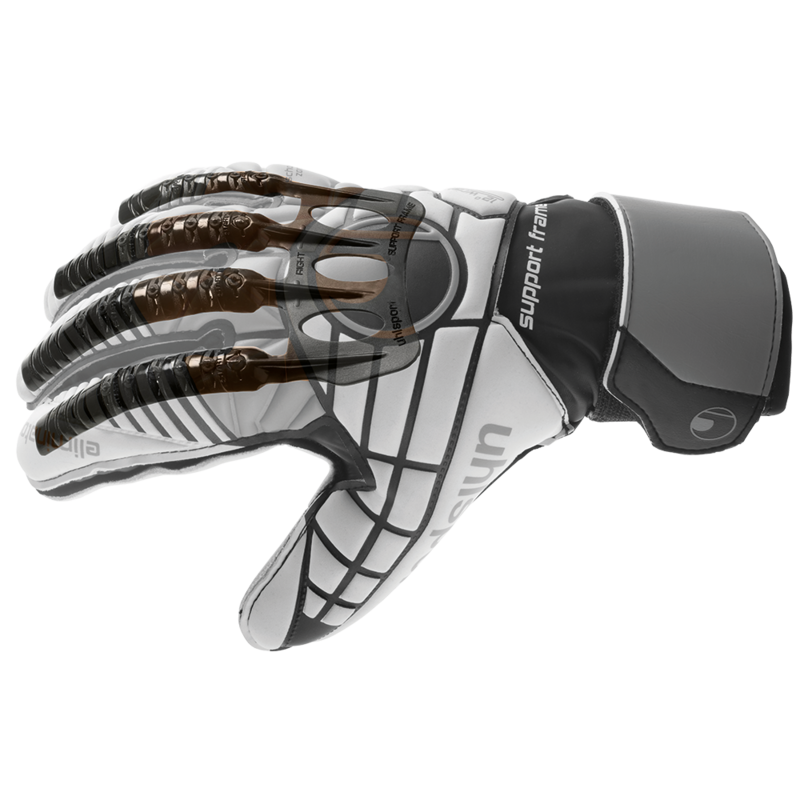 V Notch brings down the price of the glove as well as makes it easier to take off or put on. Youth goalkeeper requiring finger protection. Great practice or game option for a developing junior goalie. 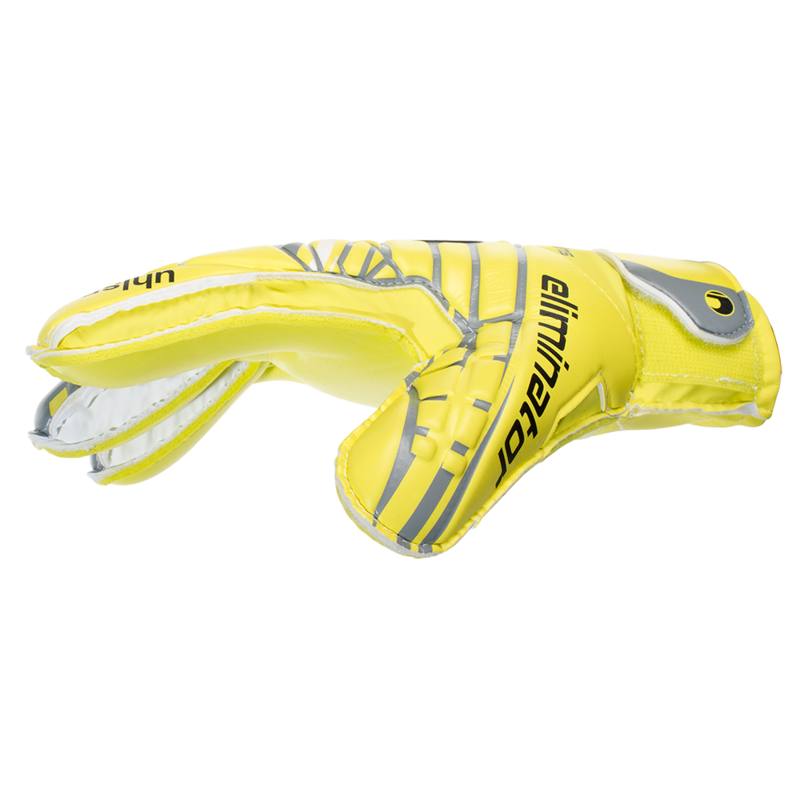 Best used in dry conditions which is the case for almost all youth goalkeeper gloves. 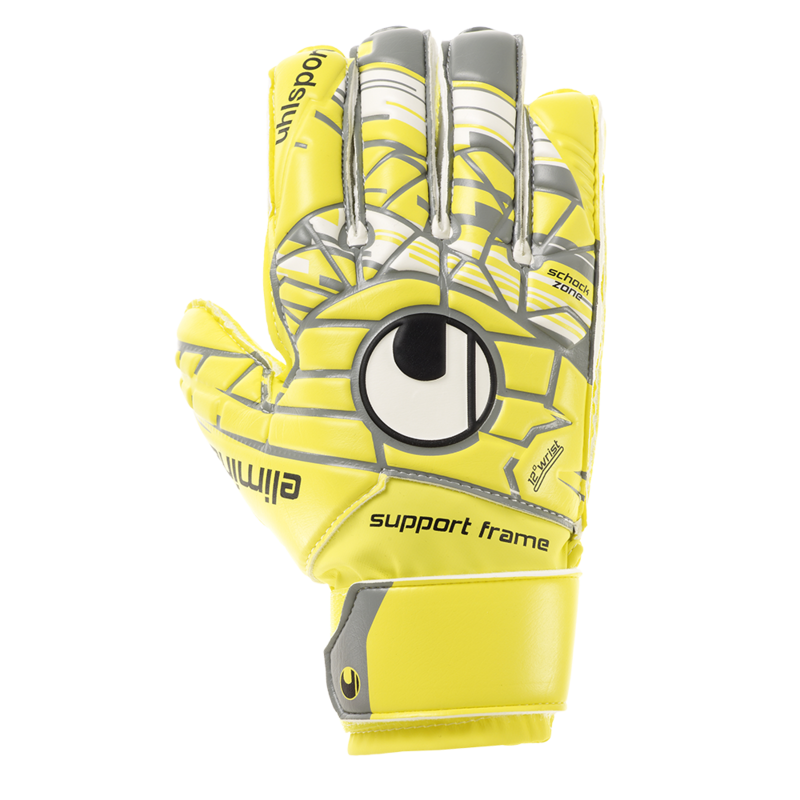 The Uhlsport Eliminator Soft SF Junior, style number 1011029, is available in sizes 4 5 6 7 8. Youth goalkeeper gloves sizes fit smaller than adult gloves. Call or email with questions regarding sizing or reviews. The gloves were perfect and arrived just in time for my son's final game of the season. The team lost, but the gloves are a winner! Thanks. Great company to buy from. even I returned item more than 30days they refund me the money. then I got the gloves.